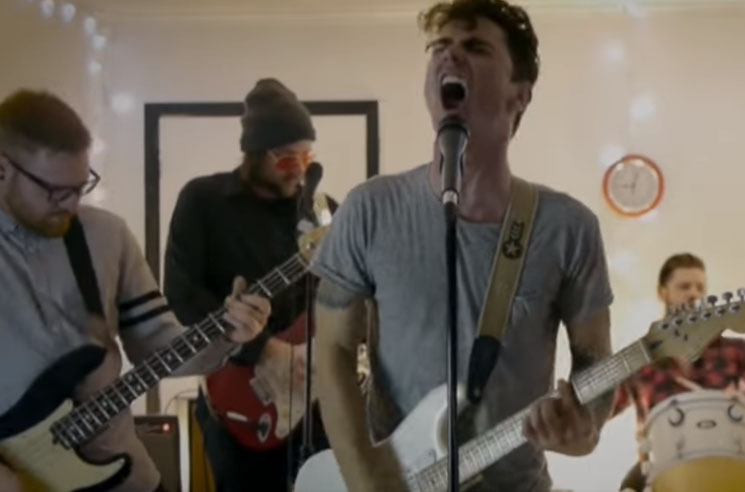 Kingston, ON-based alt-rock outfit Listen Up Kid are gearing up to unleash their latest EP Minutiae later this month, but before the new release lands, the band have unveiled a video for album cut "Affinity." The clip, directed by local creative company the Factory, follows a male and female protagonist who — unbeknownst to each other — are living out identical lives. As they go through time mirroring each other, the pair become increasingly aware of each other's presence. The clip tracks them as they discover their oddly intimate connection, interspersed with performance footage of the band for some added action. Exclaim! has the exclusive premiere of the clip for "Affinity," and you can check it out right now in the player below before Minutiae officially arrives on February 19. Listen Up Kid "Make Up"